It is a single coat gypsum plaster suitable for internal wall surfaces made up of block, brick or stone. Special additives & aggregates added in MagicPlast give better surface finish, coverage and workability as compared to normal gypsum plasters. Gypsum, the magic mineral has been used by man in construction in the form of plaster since 9000 B.C. More than 1500 million meter square of European interior surfaces are covered every year with gypsum based plaster or plaster board. It is available in Superfine, Elite & Spray Elite variants. Wall Putty: Rs. 6 /sq ft.
Total Cost Rs. 16 /sq ft.
Can Magic Plast – Gypsum Plaster be applied on internal as well as external walls? Magic Plast – Gypsum Plaster is suitable for internal walls only and that to which are not prone to catch moisture in future. Can Magic Plast – Gypsum Plaster be applied on all type of masonry work? Magic Plast – Gypsum Plaster can be applied with ease on AAC Blocks, Red Clay Bricks, Fly Ash Bricks, Hollow Core Blocks as well as RCC Surfaces. 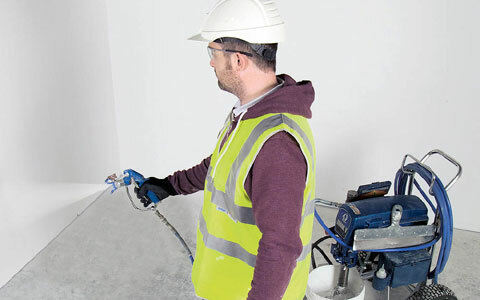 How many coats of Magic Plast – Gypsum Plaster is required to achieve smooth finish? 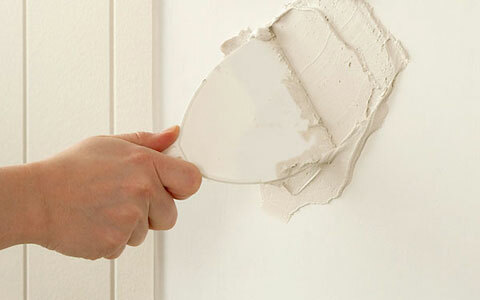 Magic Plast – Gypsum Plaster is a lightweight plaster which imparts smooth finish in a single coat. How much water is required for making mix of Magic Plast – Gypsum Plaster? One needs to mix 35-40% water of the weight of the material taken. Is Magic Plast – Gypsum Plaster crack free? 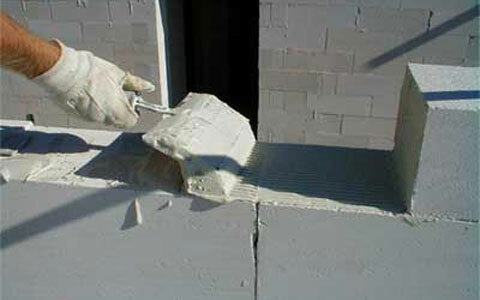 Magic Plast – Gypsum Plaster doesn’t shrink or expand once setting process is complete. Does Magic Plast – Gypsum Plaster needs to be cured like conventional plaster? 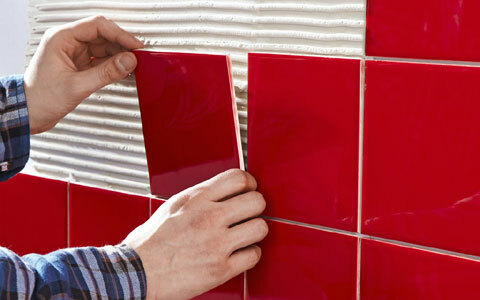 Magic Plast – Gypsum Plaster is a self-setting material, hence once set, doesn’t require any more curing. 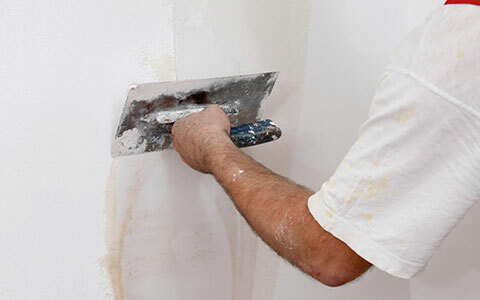 What is the coverage of Magic Plast – Gypsum Plaster? 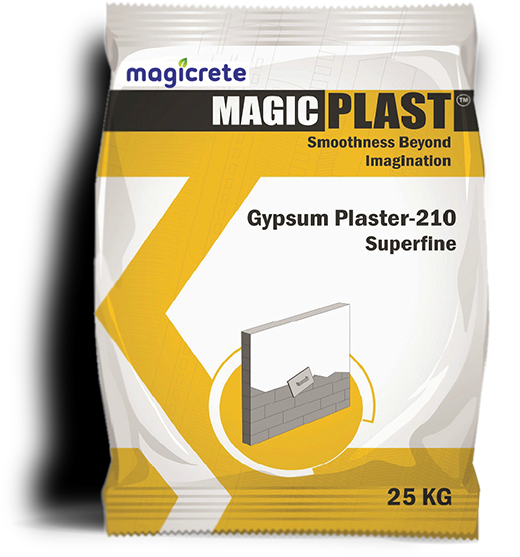 Magic Plast – Gypsum Plaster covers 22 Sq. Ft. per 25 Kg bag with a thickness of 13mm.